Meditation - FREE to all! This class is great for beginners and people that need to de-stress. Each class starts and ends with brief meditations. Patience is applied with breath in each posture with focus on lengthening, strengthening, and feeling from within. This class is optimal for people with limiting body conditions or injuries that are needing a slower paced class with clear instructions to calm your systems and bring balance to body, mind, and spirit. Gentle Yoga classes are recommended for expectant mothers, too. Shalan Hill, co-owner of The Posture Project, is a Licensed and Certified Massage Therapist (CMT & LMT) and a Registered Yoga Teacher (RYT). Shalan began her study of yoga in 1998 and has been teaching since 2001 in the Woodstock area. She has trained in the Hatha Yoga (traditional) style with focus on Pranayama (breathing techniques to promote energy movement and balance). She completed her credentials and studies for her 200 hr. Yoga Alliance training. She continues her yoga training weekly to gain more insight and options for her students. An experienced teacher, Shalan has been focused mainly on teaching yoga to beginners. Shalan intuitively promotes a gentle style of yoga that listens to the needs of the energy of the group. Her mission is to help you find what your body CAN do as a starting place and to utilize your breath, your inner vision, and to stretch and strengthen body, mind, and spirit. Shalan graduated from The Academy of Somatic Healing Arts (ASHA) massage school in Norcross, GA in 2000 with certificates in Neuromuscular Therapy, Sports Therapy, and Swedish Massage. She has worked with chiropractors and has experience with massage in spa and yoga settings. She specializes in working with the subtle energies of the body through CranioSacral Therapy, Reiki, and Energy Balancing. Shalan also excels in Myofascial Release, Postural Balancing, and pain relief. Shalan saw the value of combining bodywork and yoga to help people achieve and maintain greater balance and health in their life and was inspired to open The Posture Project. A flowing sequence of poses to wake up, work out stiffness, & get you moving for the day. All Levels are welcome. Beginners, too! 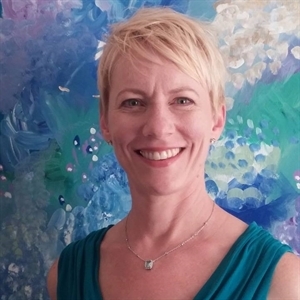 Ann Pauley, co-owner of The Posture Project, graduated from the Academy of Somatic Healing Arts in Norcross, GA in 1998 as a Massage Therapist with certificates in Sports Therapy, Neuromuscular Therapy, and Swedish Massage. 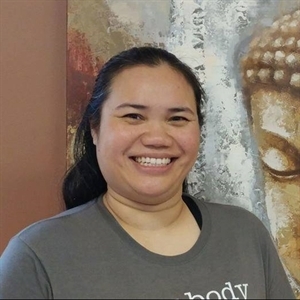 She has studied Postural Balancing in depth as a massage therapist and has worked with several chiropractors during her many years of experience. She is one of a handful of therapists in the southeast with extensive knowledge in Postural Balancing, Myofascial Release, and Sports Massage. Ann has an expert, natural ability of finding the cause of pain due to muscular imbalances and assists many people with her intuitive senses on their journey to health and wholeness. Ann has also had great results in treating individuals with scoliosis and severe injury. 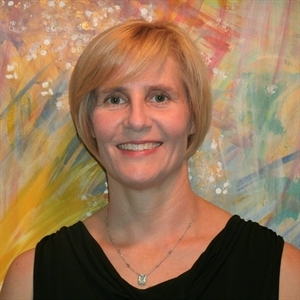 Ann is an experienced Sports Massage instructor and is a certified Lypossage Practitioner. Ann is also a yoga instructor at The Posture Project. She began her practice of Hatha Yoga in 2001. In 1998, Annie began an intensive meditation practice. Along with her natural teaching ability and her extensive knowledge of the body, she began teaching yoga in 2006 and continues weekly yoga training and neverending self discovery to continue her growth as an instructor. Her classes are invigorating and light-hearted with playful, but succinct instruction for those wanting to feel their heart beat. Annie is the founder and CEO of Be Vulnerable, Inc. The idea behind this company was divinely inspired with an important message to the world: “EMPOWER YOURSELF, BE VULNERABLE”. Ann was celestially guided to create t-shirts and posters to help spread this message to the world. www.BeVulnerable.com. She is also founder of Corporate Care Massage, a chair massage company that currently services the Atlanta Metro Area with office chair massage. www.CorporateCareMassage.com. Dayin Cusick loves to share opportunities for empowerment with her yoga students. She brings a delightful exuberance and joy to her classes. Dayin completed her 200 hr. Yoga Teacher Training with Dorje Yoga and has been developing her own yoga practice since 2011. Yoga has been an important part of her stress management as she works full time as a pharmacist. All the benefits yoga brings her, keeps her inspired to share the gift of yoga with her community. Tai Chi for Health II New! Learn the second part of the beginning sequence of Tai Chi for Health. This six-week series will teach you each step of the sequence. Tai Chi has been called "meditation in motion" and is a wonderful adjunct to other classes at The Posture Project. This class meets two times per week so the student can retain the sequence and keep it fresh in their minds. FREE to anyone! Guided meditation to commune with your Inner Being leading you toward inspiration, stillness, peace, ease, bliss, etc... Learn to harness your mind and trust that All Is Well. Yoga to Empower & Strengthen your core and your heart with moving and static poses to get your heart rate up and believe how strong you are! ALL LEVELS WELCOME! THIS CLASS IS NOT FOR THOSE WITH ACUTE INJURIES OR PAINFUL CONDITIONS and/or LIMITED MOBILITY. Restorative Yoga - Chill out time for stressed out souls! Recuperate from illness or injury. Wind down for great sleep. Great for insomnia! Reprogram yourself from crisis mode to calm. Great relief for Fibromyalgia and autoimmune disorders. Rebalance your nervous system. We could go on and on about the health benefits Restorative Yoga offers! Come join us and bring extra props (blankets, blocks, and/or pillows).